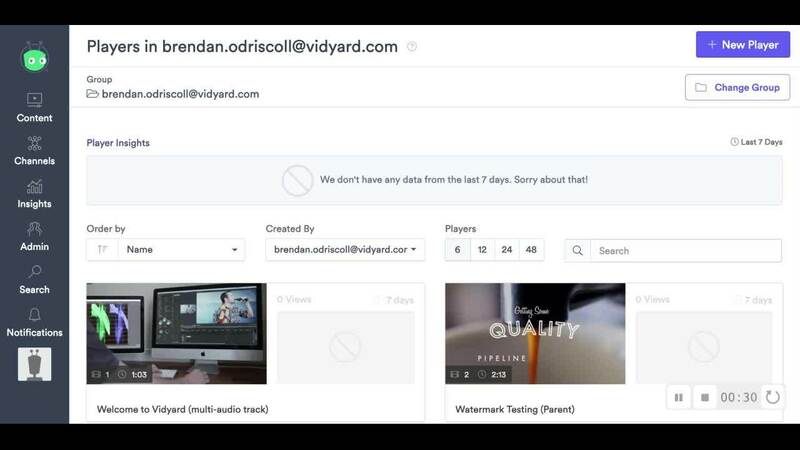 Making changes to your credit card information in Vidyard is quick and easy. For users with permissionto access payment information, simply update Payment Details section in Billing to submit the change. First, ensure that you are in the parent group. Select Change Group to switch into the parent. If the Billing option does not appear when in the parent group, you may either be on a trial account or a GoVideo free user. Contact the Support team if you have any questions. How can I extend my Trial Account?